Court Process Server - local process server with additional legal support services. ➢ Offering a variety of legal documents support services. ➢ Providing over 25 years of professional process services for the state of Wyoming. Our experienced process serving company consists of a group of over 30 professional process servers that are highly respected by the Wyoming courts which makes a positive difference to our clientele. One of the best reasons to do business with P.S.W.I. : State of the art software technology and proven quality control systems in place ensure clients receive the exact service reliability in every case. As a Wyoming agent for service of process, our company is Wyoming owned and operated. P.S.W.I is known as the largest process serving company in Wyoming with additional Colorado operations. What is Process Serving – What is a Process Server? A process server is a dedicated member of our team who is on the job round the clock. It is a line of work that takes the utmost precision, and persistence, while still being professional and courteous. A process server serves legal documents to defendants on a day to day basis, such as child support papers, summons, subpoenas and petitions all the way to garnishments, notices, evictions and orders. Process serving is not a job to be taken lightly; it is a very serious, demanding and fast paced job that must be taken on by a responsible and ethical individual, as these are time sensitive documents. 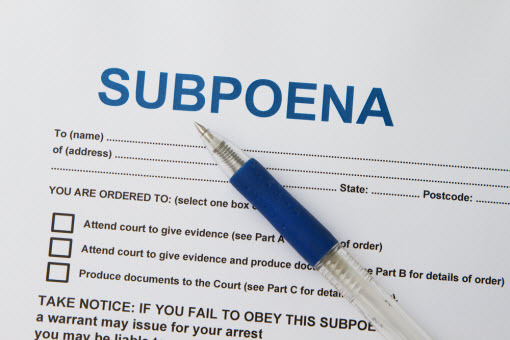 A process server must be discrete, diligent and confidential to protect both the plaintiff and the defendant, and must treat each document with confidentiality. How does our proprietary service of process work? Documents are received, reviewed and entered into our specially designed software system. Documents are sent out for service via our professional staff. Service information is entered via our secure website using our advanced technology. Affidavits of Service are completed, scanned for easy access, and then mailed to their appropriate destinations. ➢ In addition to receiving a notarized affidavit of service, you can access the affidavit as soon as it is completed via a secure client login area of our website. ➢ Our process has been refined through years of professional experience serving papers. ➢ Through our custom software we assign a specific ID number to your papers making it possible for you to track them online 24/7. Our system also tracks what you have previously downloaded saving you time and money.